Doobie FEST 7 not much else to say but this will Top All. Too Short, Tha Alkoholiks, Volume 10. 80 Plus vendors and we're expecting over 4000 People throughtout the day. Can only be described with one word. LIT! About Doobie Sesh - We decided to launch the Doobie Sesh after going to a series of Sesh’s where we saw things we liked and things we didn’t. Instead of talking about it, we decided to be about. Thought without action is nothing. 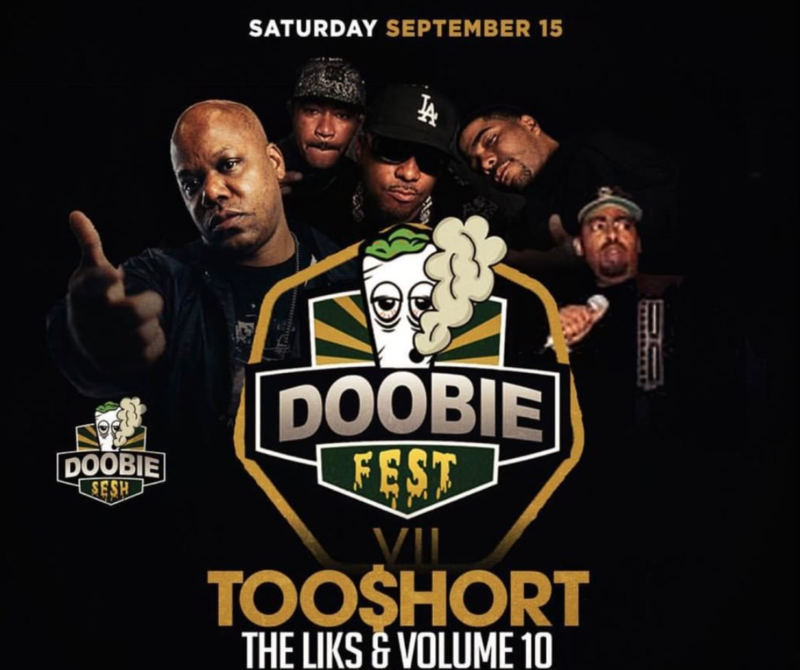 The Doobie Sesh is unique primarily because we provide Festival type events without the Festival prices. We put MORE IN, so that vendors and patients get MORE OUT. We put more in by having multiple doobie girls, hiring multiple promoters and ambassadors to bring more traffic. We have strong ties to the local music community and we bring out headliners and openers to every event bringing new faces and new buyers to the event. Where can I get a Rec? Go to doobiesesh.nuggmd.com to get a Rec for only $39! Valid for an entire YEAR!